Want a FREE pawTree sample for your dog or cat? Then just fill in the simple online form at their site and they will be in touch soon! 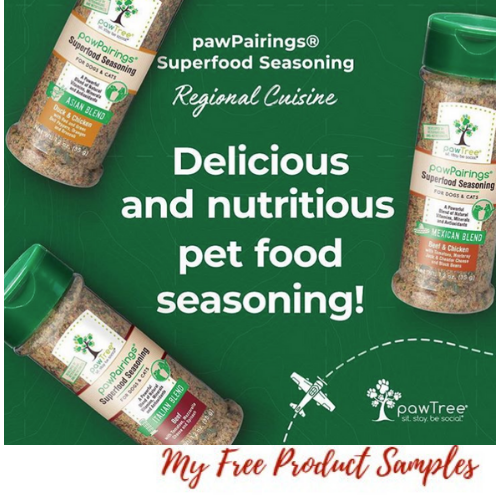 FREE Sample of pawPairings Superfood Seasoning by pawTree. Superfood seasonings for your pet available in 10 flavor combinations including Mexican, Italian and Asian blends. Available while supplies last, in the USA only.